Hi, hope your weekend is starting out to be great! The weather has turned cooler here thanks to a cold front coming down from our neighbors to the North, Canada! We have had rain the last couple of days and the pond is right up to the rocks that surround it. If it wasn't for the rocks, I'm afraid my fish would be able to swim right out into the yard!!!!!!! If the rain would just stop for a day, the ground would absorb the overflow and it would go down.....let's hope that happens. Lace and border piece - K & Co. 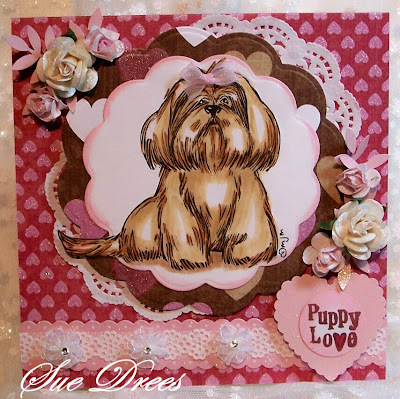 This is just so sweet and feminine Sue. I love this image-it just makes you want to curl up on the couch with your pet...lol Awesome. This is sweet! 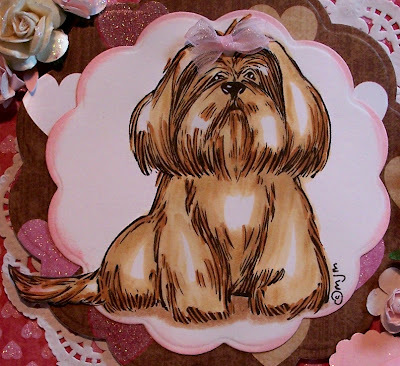 I love the pink and brown, and the little bow is perfect! Glad you joined us in Mo's Challenge. he is cute and wonderful sue. 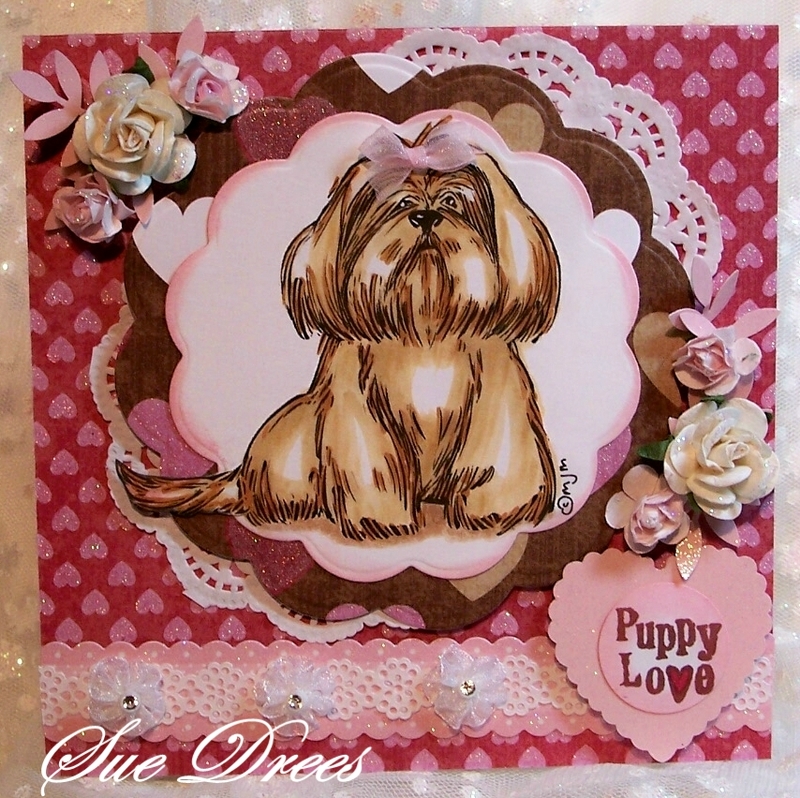 Fabulous dog, fabulous card, so very well done as usual!! gotta love our doggies!!! so very cute! Love your beautiful card! Glad you could share it with us at Mo's! This is so sweet. I really like the way you colored this adorable pup. I love this. Thanks for joining us at Mo's Digital Pencil this week.